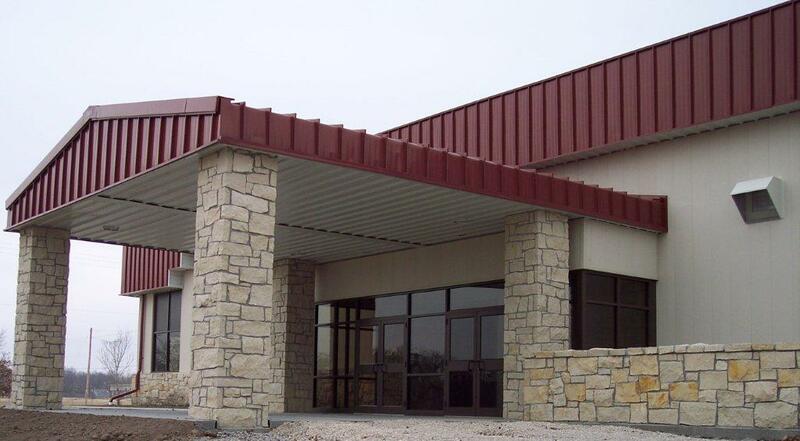 The building was constructed as part of a Comprehensive Development Grant funded through the Kansas Department of Commerce Community Development Block Grant program in 2006. With over 10,000 square feet the building can accommodate approximately 440 persons. It includes a full kitchen, with preparation, serving and clean-up areas. The building can be rented as one large open area, or it can be divided into three separate areas or a combination of the three areas. Dividers can be pulled to provide smaller rental areas. The northeast room known as the kitchenette has a sink, microwave, and counter area. The building has become quite popular as a site for weddings and/or wedding receptions. It is large enough to accommodate the wedding, reception and several have even used the kitchenette for the rehearsal dinner the night before. Please call 620-795-4433 with any questions you may have. RENTAL AGREEMENT - click here. The above forms are available to view or download. Click here if you need to download Acrobat Reader.